But that wasn’t the case. After they ended that tune, it became clear that they didn’t even know each other’s names. What’s more, neither were really buskers, and Blake had only been playing the Hang drum for a few months. 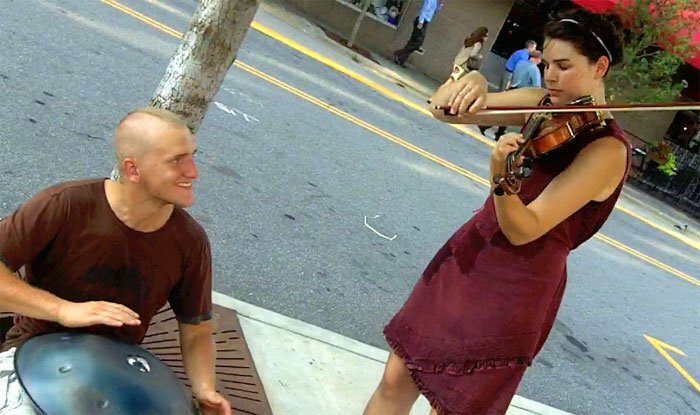 As a document of the phenomenal talent that passes through Asheville, and the wonderful moments that take place on its streets, this is a gem of a video.